An exclusive audio lesson looking at the before, during and after of performing Impressions. As a Impressions Player Participant, you will receive an exclusive on-line audio lesson from Chris on his approach to Impressions. Chris will address his personal history with the song, favorite and "tricky" sections, how to keep the song "fresh" each time you play it and a variety of other topics relating to the song. 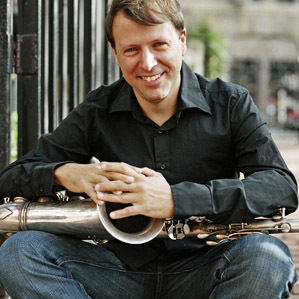 Each lesson participant will be given access to an email address where they can send comments and questions to Chris Potter, which he will address in monthly audio shows. Throughout this project, you will also receive audio discussions with Chris on a variety of topics.